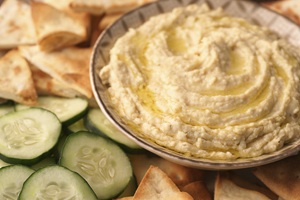 Cheese and Other Dairy Foods Snacking Trends: Less is More, and Worth It! Food waste is a major global concern, at the same time so is hunger. If we waste less, we could feed more. But I’m not here to talk about feeding the world’s growing population. What I will address is portion control and smaller packages, and how this can assist with reducing waste. During a phone interview this week, I was asked about opportunities in the dairy industry, specifically cheese. I gave my example of how pints of ice cream cost more than half gallons, and how consumers willingly dip into their pockets to pay more for less. They do this when they know the story of the product, understand the ingredients in the product and, when they know it’s just the right amount to satisfy their craving without feeling guilt for over consumption or waste. With a growing number of single households, package sizes of many staples need to be reduced. This is likely why snack sizes have become so popular. They are just the right size. Think shredded cheese. For long the norm has been the 8-ounce bag because family-size recipes often call for two cups. But what if you live alone and just want some shredded mozzarella to make a couple of pizza bagels. Maybe it’s time for a 4-ounce bag? Kraft Heinz gets it. That 2-pound Velveeta loaf is too much of a commitment for most households these days. Velveeta tends to be a recipe cheese…melted with salsa for a queso dip, stirred into mashed potatoes or baked into a casserole. Two pounds of Velveeta is a commitment to cook. The company just rolled out Velveeta Mini Blocks. The 20-ounce box contains five individually wrapped 4-ounce cubes. Indeed, committing to three square meals is just not the norm. 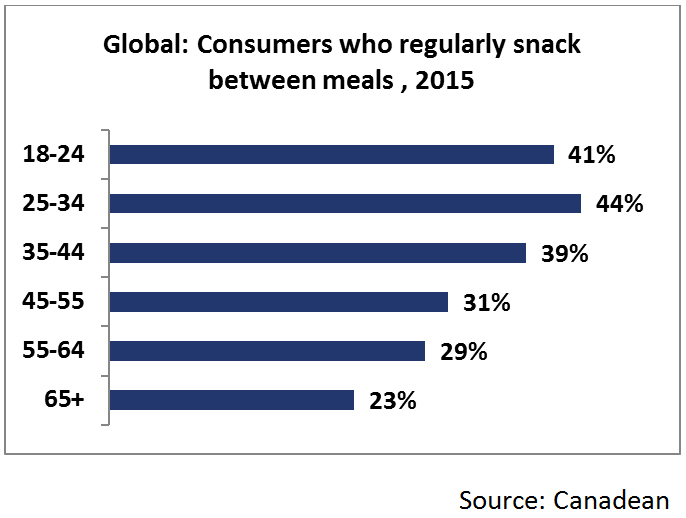 Today’s consumers have moved away from traditional meal occasions and are snacking more throughout the day. 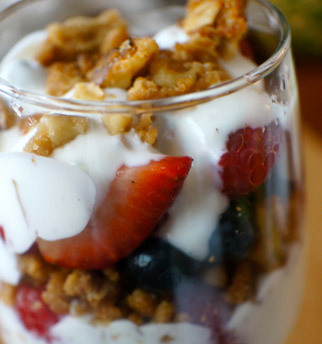 They are seeking out healthier snacking options, with many dairy foods increasingly a convenient option. With snacking now ubiquitous, more than three in five (64%) consumers agree that snacking is necessary to get through the day, including 77% of Millennials, according to new research from Mintel. Millennials are also more likely to be motivated by healthy snack options (68%). Mintel data suggest that three in four (73%) consumers are willing to pay extra for snacks made with high-quality ingredients. This includes snacks based on cheese. 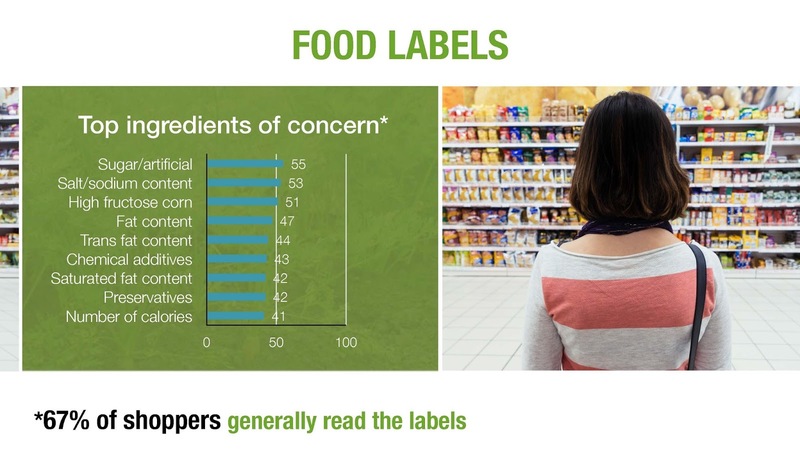 Recognizable brands play a role when choosing snacks, as seven in 10 (69%) consumers say snacks with branded ingredients prove to be higher quality than other snacks. 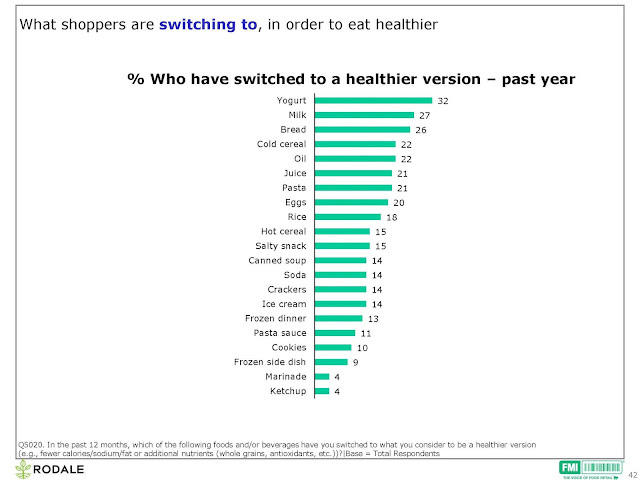 Moreover, seven in 10 (71%) Millennials say snacks are best eaten while on the go. The recently published report “Healthy-Ingredient Snacks in the U.S., 2nd Edition” from Packaged Facts confirms that healthy-ingredient snacks offer the perfect convergence of many important modern food industry trends and as a result the segment is thriving. Portable? Check. Healthy? Check. Transparent labels and packaging? Check. 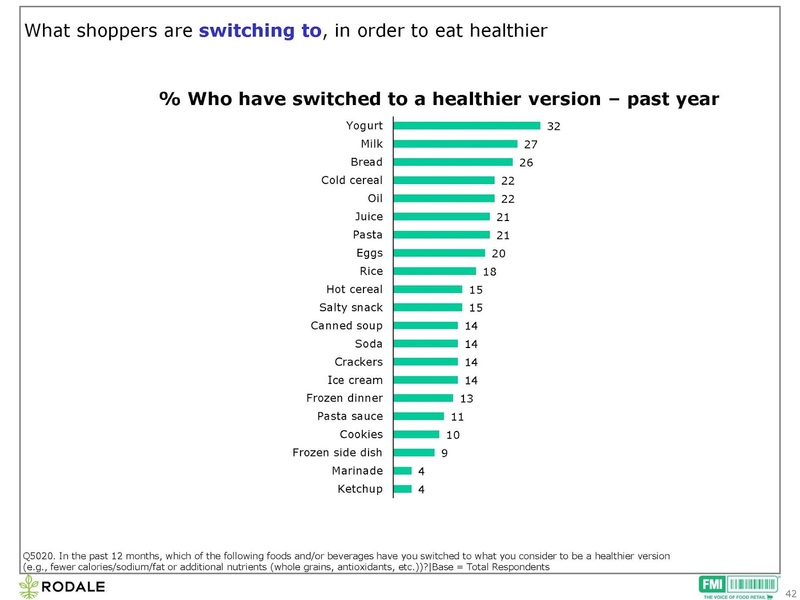 As a result of these factors, among others, the past five years has seen steady growth for healthy-ingredient snacks. The market’s compound annual growth rate (CAGR) of 4.7% has outpaced overall food and beverage sales growth. Packaged Facts projects the healthy-ingredient snack segment will continue enjoying steady growth in sales. A CAGR of 5.7% is expected between 2016 and 2020. A variety of industry trends are responsible for this bullish outlook. One of them is that protein, bite-sized snacks and innovative flavors are in high demand. Cheese can be all this and more. 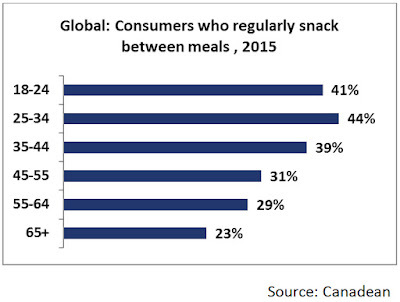 Indeed, Millennials are a major driver of snacking. More than a third of consumers globally say they snack regularly, with the figure rising to just over 40% for young people aged 18 to 34, as the practice of modular eating becomes more accepted as an alternative to eating three main meals a day, according to consumer insight firm Canadean. Here’s what a number of cheese marketers are doing to make sure cheese is part of the snacking menu, have it be in the car, at the desk, in the lunchbox, afterschool or even in front of the television unwinding after a long day. Recognizing the need for a convenient snack or easy entertaining solution, Dutch Farms jumped on the opportunity to better serve its customers. 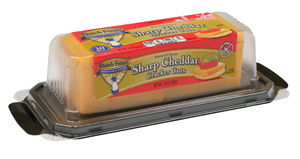 This month, Dutch Farms Cracker Cuts cheese hit retailers’ shelves in the Chicago area. 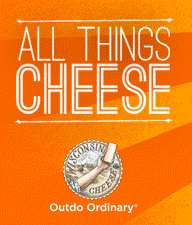 Each 10-ounce package contains 20 pre-cut slices of pure, Wisconsin-made cheese. 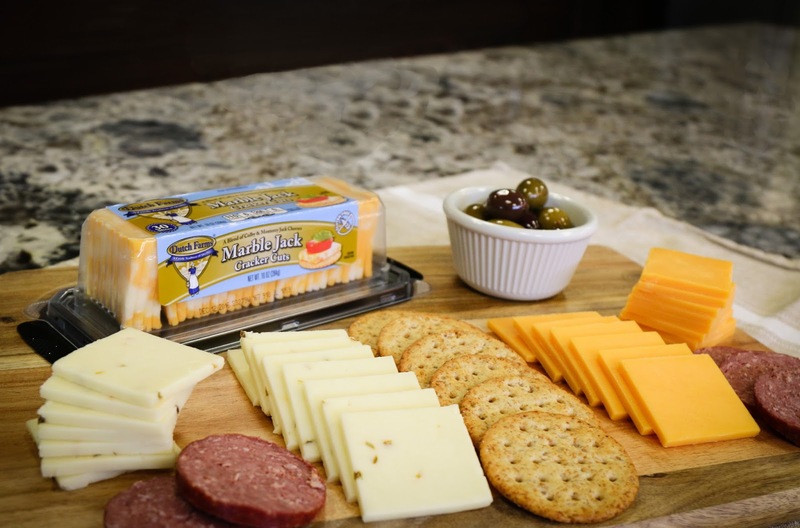 Cracker Cuts come in three varieties: Marble Jack, Pepper Jack and Sharp Cheddar. Dutch Farms Cracker Cuts are packaged in a re-sealable container so Cracker Cuts cheese can be enjoyed on more than one occasion without sacrificing grade-A freshness. 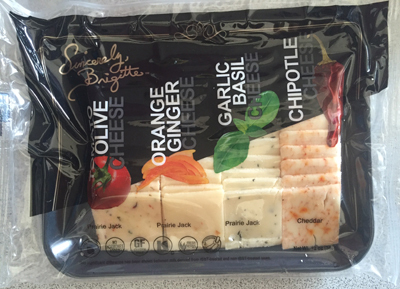 The Sincerely, Brigitte brand also recently debuted a cracker-cut tray of its flavorful cheeses. Each 12-ounce tray contains about 10 squares of four different cheeses. They are: Chipotle White Cheddar, Garlic Basil Monterey Jack, Orange Ginger Monterey Jack and Tomato Olive Monterey Jack. 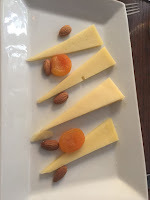 Brigitte Mizrahi, CEO of Anderson International Foods Inc., is a French cheese connoisseur and the inspiration behind these unique flavors of cheese. She also is rolling out three varieties of individually wrapped cheese sticks that target mature taste buds. The varieties are: Chipotle White Cheddar, Garlic Basil Monterey Jack and Tomato Olive Monterey Jack. Each 4.5-ounce bag contains six 0.75-ounce sticks. The sticks are also available in merchandising units for individual sale. 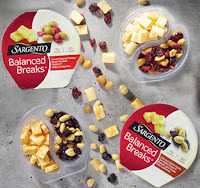 Sargento is growing its multi-serve bags of snacking cheese. 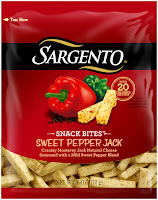 Sargento Snack Bites come in 6-ounce bags containing about 42 sticks. 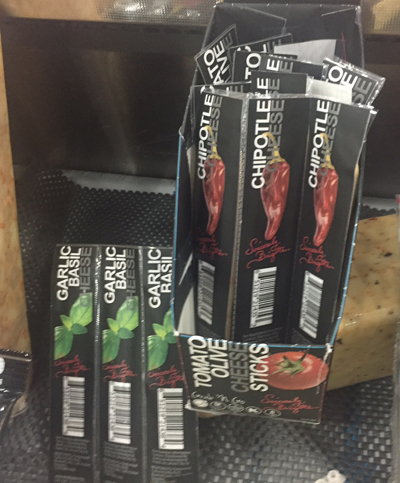 The line debuted earlier this year in four varieties: Chipotle BBQ Cheddar (mild cheddar with smoky BBQ seasoning), Colby-Pepper Jack (Monterey Jack with habanero and jalapeno), Savory Garlic & Herb Jack (Monterey Jack with garlic and herb seasoning) and Wisconsin Sharp Cheddar. 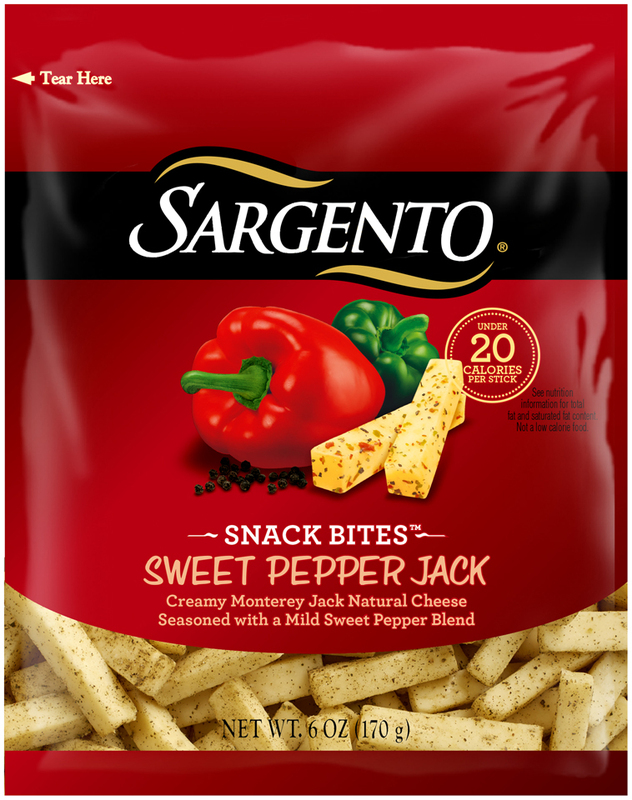 Most recently, the company added Sweet Pepper Jack, which is Monterey Jack cheese seasoned with a mild sweet pepper blend. This variety was a limited-time offering sold through Costco variety packs. The company also added two varieties to its Balanced Breaks line. This dual compartment package resembles ying yang, showing that opposites do attract, and in fact, complement each other quite well in these snacks. One compartment houses cheese bites and the other dried fruits and nuts. 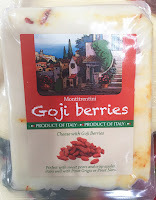 The new varieties are: Colby-Jack Natural Cheese with Sea Salted Peanuts & Blueberry Juice-Infused Dried Cranberries and Gouda Natural Cheese with Honey-Roasted Peanuts & Dried Cranberries. They join: Natural Sharp Cheddar Cheese, Sea Salted Cashews & Cherry Juice-Infused Cranberries; Natural Sharp White Cheddar Cheese, Sea Salted Cashews & Golden Raisin Medley; Natural White Cheddar Cheese, Sea Salted Roasted Almonds & Dried Cranberries; and Pepper Jack Natural Cheese, Honey Roasted Peanuts & Raisins. Balanced Breaks snacks come in a package of three 1.5-ounce snacks for a suggested retail price of $3.69. Arla Dofino Snack Cheese retails in 18-ounce packs containing a dozen or each Havarti Bars and Gouda Bars. Each individually wrapped bar is 0.75 ounces. 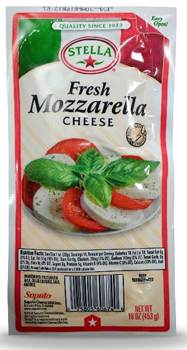 The company also sells 6-ounce bags containing eight 0.75-ounce bars of Fontina, Gouda, Havarti or Medium Cheddar. 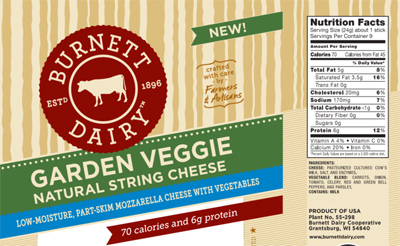 Saputo Specialty Cheese has introduced Organic Creamery Organic Light String Cheese for those snackers seeking out organic options. The single-serve sticks are conveniently packaged as six 1-ounce individual portions in a 6-ounce bag. The cheese is hand-crafted by award-winning Wisconsin cheesemakers with organic milk from Wisconsin family farms that practice humane management and pasture grazing. 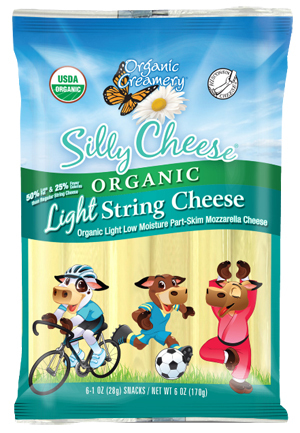 With 50% less fat and 25% fewer calories than regular string cheese, Organic Creamery Light String Cheese has a mild and buttery flavor with a fun, pull-apart texture that serves a great addition to lunch boxes and afternoon snacks. 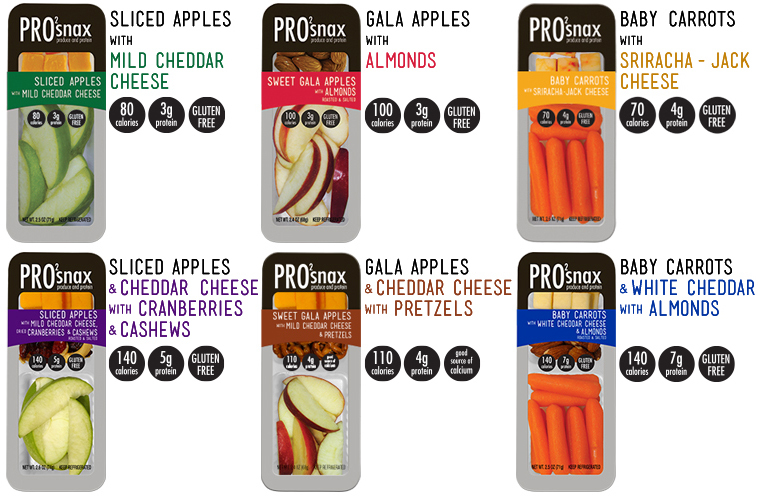 New Pro2snax single-serve snacks from Reichel include fresh produce paired with a healthy protein. 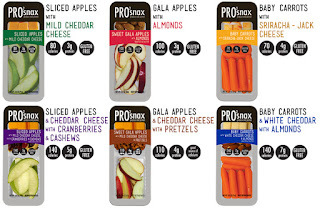 Varieties are: Sweet Gala Apples with Almonds, Sliced Apples with Mild Cheddar Cheese, Carrots & Sriracha-Jack Cheese, Carrots with White Cheddar Cheese & Almonds, Apples & Cheddar w/Cranberries & Cashews, and Sweet Gala Apples, Cheddar Cheese & Pretzels. 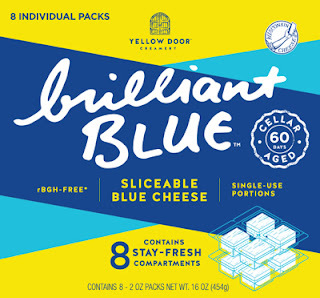 Schuman Cheese now offers Yellow Door Creamery Brilliant Blue blue cheese. 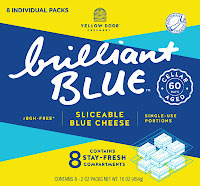 Handcrafted in Wisconsin and cellar-aged for 60 days, Brilliant Blue comes in individually wrapped 2-ounce portions and 5-ounce and 1-pound deli cups as mini cubes. Perfect for sandwiches, salads, cheese plates and more, Brilliant Blue can be easily stored for later use with a shelf life of 90 days. The mini cubes are clump free and sold with a flip top lid for ease of use. The 2-ounce single-serve cubes are great for slicing and melting. Go ahead, snack on some cheese this weekend. IFT16 Trend: Feeding the Evolving Consumer. Think Lifestyle Fortification. This was a week of quotes...some familiar and others brand new. This blog contains a number of them. One of my favorites, the one that inspires me as a food scientist, was obtained while researching an article for Food Business News on formulating convenience cocktails. This profound statement was alive and thriving on the show floor of IFT16: Where Science Feeds Innovation, the annual meeting and food expo of the Institute of Food Technologists that took place this week. It was so wonderful to see so many of you in Chicago, my hometown. I hope you enjoyed your stay and returned to your offices and homes with great ideas for future innovations. than consumers did during the past 100 years. There’s no going back. If the consumer is evolving, food manufacturers and marketers must evolve, too. There’s a tremendous shift in the way we eat and drink and we are in the pinnacle of it, according to Melisa Abbott, vice president of culinary insights, The Hartman Group, Bellevue, Wash. Consumers want more from their food and beverage choices, with wellness and deliciousness going hand-in-hand. That “more” Ms. Abbott refers to is suggestive of nutrients that go beyond basic nutrition. This is not to be confused with the “more” that comes from traditional food fortification, which continues to be of upmost importance in preventing deficiencies that can lead to disease. Rather, this new “more” refers to lifestyle fortification. It’s personalized nutritional enhancement for a specific life stage or health condition. Lifestyle fortification presents processors with an opportunity to differentiate in the crowded marketplace by giving their products a boost of extra nutrition. This is either by adding isolated vitamins, minerals and micronutrients, or selecting whole food ingredients concentrated in the vital components today’s consumers want for their bodies to function as best as possible. Fortification refers to the act of supplementing foods with nutrients not previously present in the food or not naturally occurring at high enough levels to serve a functional purpose in the body. The term is often confused with enrichment, which describes the practice of adding back nutrients lost during processing. “Fortification of foods helps millions of people meet their nutrient requirements annually,” says Hugh Welsh, president, DSM North America, Parsippany, N.J. “Before food fortification, deficiency diseases were prevalent in the U.S.
From what I observed at IFT, there’s tremendous opportunity for dairy processors to offer “more” in everything from milk to yogurt to even ice cream. Think omega-3 fortification to improve brain development and enhance memory. Fiber addition for gastrointestinal health, heart health and improved nutrient absorption. The list goes on. Even FDA recognizes we need to consume more vitamin D for better health. 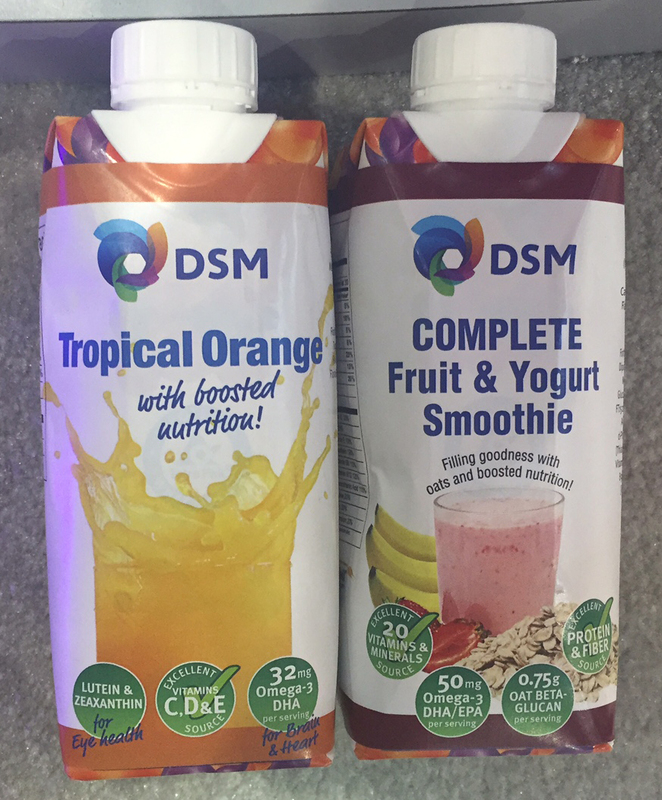 Just last week, the agency announced updated food additive regulations allowing manufacturers of milk and plant-based milk and yogurt alternates to add more vitamin D to their products. The update will allow milk to continue to claim to be an excellent source of vitamin D, even after the Daily Value for vitamin D is raised in the updated Nutrition Facts label. This allowance for increased vitamin D levels goes into effect immediately. Processors will want to get on board and add more vitamin D, as it will be a nutrient that must be declared in the new Nutrition Facts label starting in 2018. The food additive regulations for vitamin D now allow double the maximum level of vitamin D previously allowed in milk, up to 84 IU per 100 grams of milk or 800 IU per quart of milk. However, no changes were made to the standard of identity for milk, which still provides for only 400 IU of vitamin D per quart of milk. In order to fortify with the higher levels, milk must be named with a nutrient content claim, such as “high vitamin D milk,” according to Cary Frye, vice president of scientific and regulatory affairs at the International Dairy Foods Association. You can read more HERE. With that, we must never forget that there’s a whole world out there filled with many hungry populations. So where lifestyle fortification appeals to the many with dollars in their pockets, safe, nutrient-dense food appeals to so many more. He emphasized we must never forget the needs of the global population. 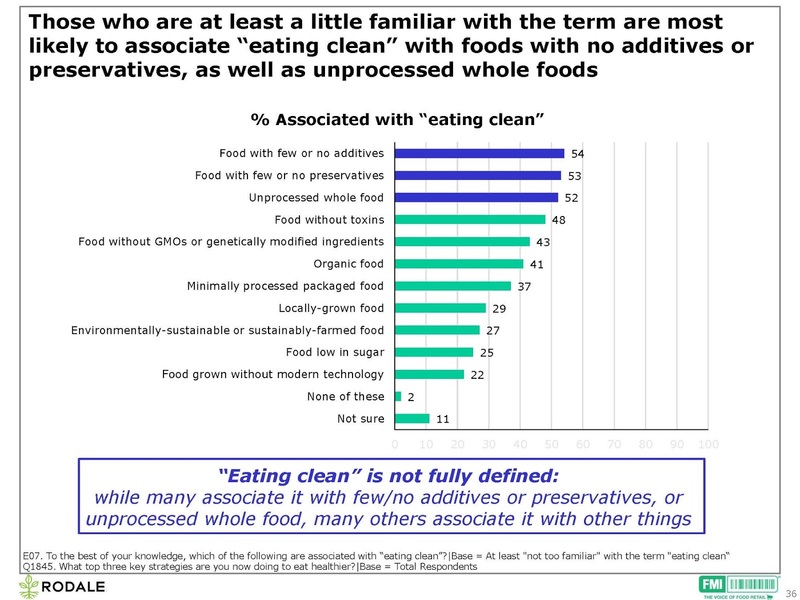 To read an excellent article on the clean label session in Food Business News entitled “The complicated reality of simple ingredients,” link HERE. 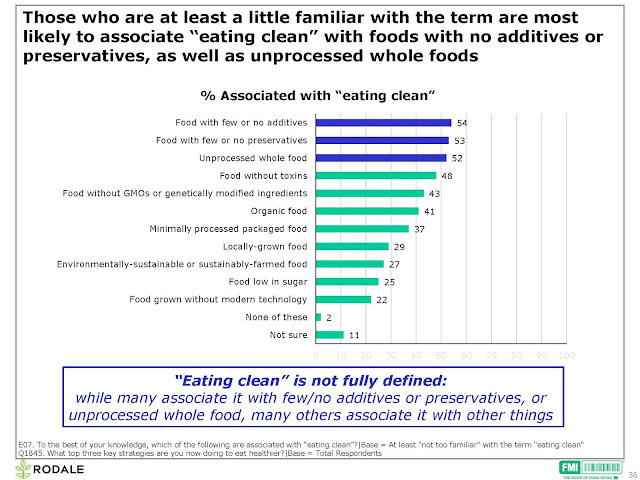 My colleague Monica Watrous at Food Business News is on a roll with her IFT reporting. Here are a few other great articles she wrote this week with links. Predictors of successful product innovation. The next big flavor trends. Rest up my IFT-attending readership! Mark your calendars for IFT17, June 25 to 27 in Las Vegas. Let me introduce you to glocal. It’s the melding of globally inspired flavors with local ingredients. Or, as my industry friend Lisa Stern explains—and she is the one who introduced me to the term, thank you--they are worldly flavors with a hometown spin. Glocal in the dairy industry is all about east meeting west and heat meeting sweet with farm-fresh milk from down the road. Indeed, it is the locally sourced nature of milk, and the often perishable nature of dairy products, that positions dairy so well for the glocal movement. Consumers want to explore worldly flavors, but at the same time, they prefer that the majority of their food comes from no more than a tanker truck away, rather than a plane, train or ship. To read a Food Business News article I recently write on the glocal culinary movement and the impact it is having on dairy, link HERE. Glocal feeds into what Innova Market Insights has identified as an opportunity for dairy, and that is the indulgence factor. 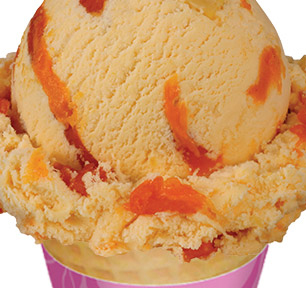 According to Lu Ann Williams, director of innovation at Innova, adding elements of ultra indulgence, such as new textures and more experimental flavors, is trending in dairy. New opportunities for product hybridization and eating occasions are emerging. All of this is an opportunity with that farm-fresh milk delivered daily. Heat and sweet have long been attracted to each other. For many consumers, it’s a sprinkling of red pepper flakes here and a dash of hot sauce there. But as borders continue to blur, either by real travel or social media, we are increasingly craving food adventure. Sweet fruits are a great carrier for heat, while the white, creamy, neutral flavor of milk and products made from milk, make dairy an ideal carrier for sweet with heat. You can expect to see many worldly flavors in prototypes at IFT16: Where Science Feeds Innovation, the annual meeting and food expo of the Institute of Food Technologists kicking off this weekend in Chicago, my hometown. For example, the U.S. Dairy Export Council (USDEC) has developed a cottage cheese mango dip. This concept complements many trends, including consumer desire for high-quality protein, and having access to that protein throughout the day. According to USDEC, many consumers know the general benefits of protein, but a majority are unaware that not all proteins are created equal. 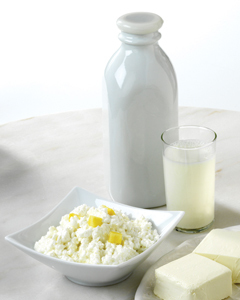 Dairy proteins offer benefits that make them a higher-quality option than plant proteins. Further, protein is often consumed only at certain times of the day, primarily at dinner. However, it’s important that high-quality proteins are consumed throughout the day in order to meet recommended protein intake amounts. Therefore, consumers look for snack items to increase their protein intake between meals and often use them as meal replacers. Today’s consumers are also exploring their ethnic palates with flavors from around the world. They want to experience new, bolder flavors. Versatile U.S. dairy ingredients fuse with global ethnic flavors to yield unique flavors and textures for wide cultural appeal, according to Vikki Nicholson, senior vice president of global marketing for USDEC. She explains that dips are a booming dairy category. They attract the many millennials who mix flavors to spice up popular everyday finger foods with unique tastes. 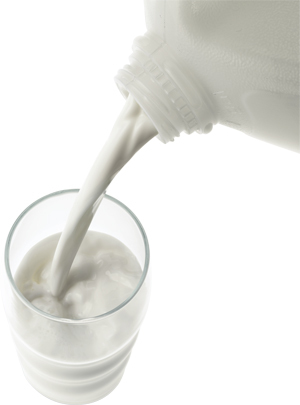 U.S. dairy ingredients aid in this evolution by offering flavor, functionality and nutrition. 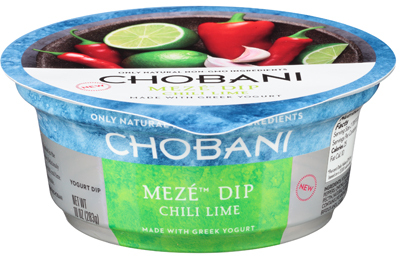 Just look at the recently introduced Chobani Meze Dips line, which features real veggies, herbs and spices blended with creamy Greek yogurt made with New York State-sourced milk. 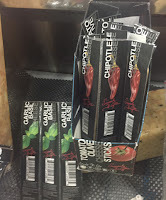 Varieties are: Chili Lime, Roasted Red Pepper, Smoked Onion Parmesan and Three-Pepper Salsa. In the cheese department, Schuman Cheese now offers a series of hand-rubbed fontina cheeses under its new Yellow Door Creamery brand. The semi-soft, mild and creamy cows milk cheese come in three varieties: Habanero and Lime (a citrus finish with every bite of heat), Harissa (a smoky blend of chili, cumin and caraway seed) and Tuscan (a classic blend of Italian herbs and spices). Made using fresh Wisconsin milk, expert cheesemakers use traditional methods to create fontina cheese, according to the company. The Fontina wheels are hand rubbed with vibrant spice blends from around the globe. Needs some worldly ideas for your next glocal innovation? Here are some of the winners of the World Dairy Innovation Awards 2016, the leading global dairy product innovation award. It is coordinated by FoodBev Media. This year, winners were recognized at the Global Dairy Congress in London at the end of June. The judging panel considered 211 entries from 37 countries, with winners and finalists in a total of 18 categories. 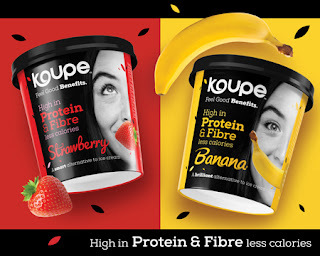 The Best Ice Cream or Frozen Yogurt Award went to Koupe, which is described as an alternative to ice cream. This dairy-based frozen dessert is high in protein and fiber, while also lower in fat, added sugars and calories, as compared to traditional ice cream. 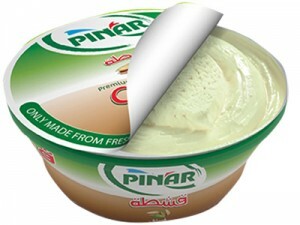 The Best Butter or Dairy Spread Award went to Pinar Dairy Company for its Breakfast Cream with Pistachio Purée. This Turkish spread is an alternative to butter or cream cheese and intended to be consumed together with kunafeh and baklava. The 11-ounce aseptically packaged shelf-stable cartons list fruit juice blend as the first ingredient. The formulation also contains lactose-free skim milk and whey protein isolate. Energy comes from the naturally occurring sugars in the juices, the skim milk and added fruit purees, as well as green tea extract and vitamin 12. The Best Children’s Product Award went to Arla Foods for Arla Big Milk. This is the UK’s first fresh milk enriched with essential nutrients to help support children’s growth and development as part of a balanced diet and healthy lifestyle. It’s made with 100% British whole cows milk finely filtered for freshness. The creation of Arla Big Milk is part of Arla’s strategy to support British farmers by developing innovative products to add value to the milk category. For a complete list of World Dairy Innovation Awards 2016 winners, link HERE. To view a video of all entrants, finalists and winners in every category, link HERE. 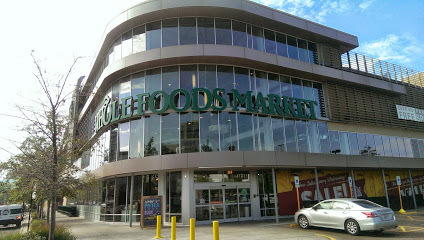 Mariano’s New City location. Mariano’s is unlike most supermarkets and you actually can get lost in the New City location. It is two floors of retail meets food court, including sushi bar, real barbecue, cheese cave and wine and beer on tap. The butcher here not only cuts your meat, it can be cooked for you while you shop. Within walking distance (very safe) is one of the largest Whole Foods Markets. The Lincoln Park location is home to one of the city’s largest hot food bars, which features foods from Chicago’s many ethnic neighborhoods. You can grab a pierogi, an egg roll, lasagna and taco all in one trip. Two other must visits are Eataly and Latinicity. The former focuses on the flavors of Italy, while the latter explores Latin cuisine, both in a combination retail and foodservice format. To read more about Eataly, link HERE. 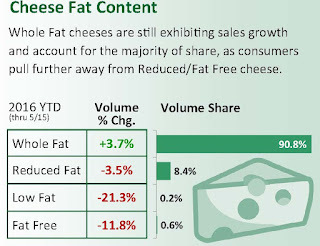 June was Dairy Month and dairy foods, in particular cheese, put on quite the performance. There were an impressive number of truly innovative cheese products that debuted this past month, at both the International Dairy-Deli-Bakery Association Expo in Houston and the Summer Fancy Food Show that wrapped up this week in New York City. Though I am a veteran attendee of the Winter Fancy Food held every January in San Francisco, this was my first Summer Fancy Food Show…and what a show it was. By all means, cheese was the star. The impressive number of new forms and flavors showcased at the show promise to further drive U.S. consumption, which peaked at 34.1 pounds per person in 2014 and is projected to reach 36.5 pounds in 2024.
Who is driving this growth? It’s the millennials. According to a recent article published by the U.S. 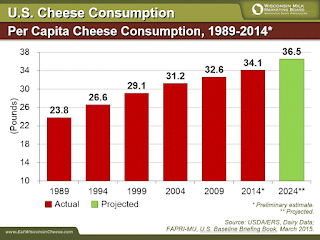 Dairy Export Council, millennials crave specialty cheese. Traditional cheeses will always have a special bond with consumers, but cravings for cheese innovation is putting the spotlight on specialty and unique cheeses. Numerous recent industry reports show that consumers are buying more cheese, but their expectations are rising with every purchase and lifestyle decision. You can read the article HERE. And cheese exhibitors at the Summer Fancy Food Show, which ended Tuesday, are ready to feed millennials. The 2016 show was the largest in exhibit space since it was established in 1954. More than 2,670 exhibitors filled the halls of Javits Center in New York with the latest in specialty food and beverages from across the U.S. and 55 countries. It is the largest such marketplace in North America, with more than 47,000 specialty food professionals in the exhibit halls, which spanned the equivalent of six football fields. For more information on the show, link HERE. At the Summer Fancy Food Show, Emmi Roth USA hosted a private editors’ event on “The Art and Science Behind the World’s Best Cheese.” The star of the tasting reception was Roth Grand Cru Surchoix, an alpine-style cheese that took home the gold this past March at the World Championship Cheese Contest in Madison, Wis. 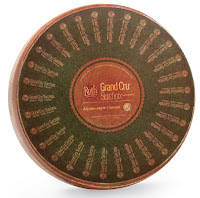 When Roth Grand Cru Surchoix was named the 2016 World Champion Cheese, it marked the first time since 1988 that a cheese made in the U.S. received this accolade. Roth Grand Cru Surchoix is a member of Emmi Roth USA’s flagship line of Grand Cru washed-rind alpine-style cheeses, which are hand-crafted by master cheesemakers in copper vats. Only a few wheels of Grand Cru meet the stringent requirements of the company’s cheesemakers to become Surchoix. This cheese is aged a minimum of nine months to create a firm texture and complex flavors of caramel, fruit and mushroom. While the Summer Fancy Food Show was taking place and Dairy Month activities were wrapping up, dairy was making headlines in both consumer and academic press. Time magazine published an article entitled “The Case for Eating Butter Just Got Stronger.” You can read it HERE. Advances in Nutrition published “Dietary Fats and Health: Dietary Recommendations in the Context of Scientific Evidence.” You can access it HERE. Both of these readings support what many of us have long known in the dairy industry: fat is not the enemy. The fact is, fat is back. And cheese is a winner in this movement. Graph source: IRI provided to Dairy Management Inc., and courtesy of the Midwest Dairy Association. According to data from Chicago-based IRI provided to Dairy Management Inc., and courtesy of the Midwest Dairy Association, retail volume cheese sales were up 2.9% for the first five months of the year, as compared to the same period last year. 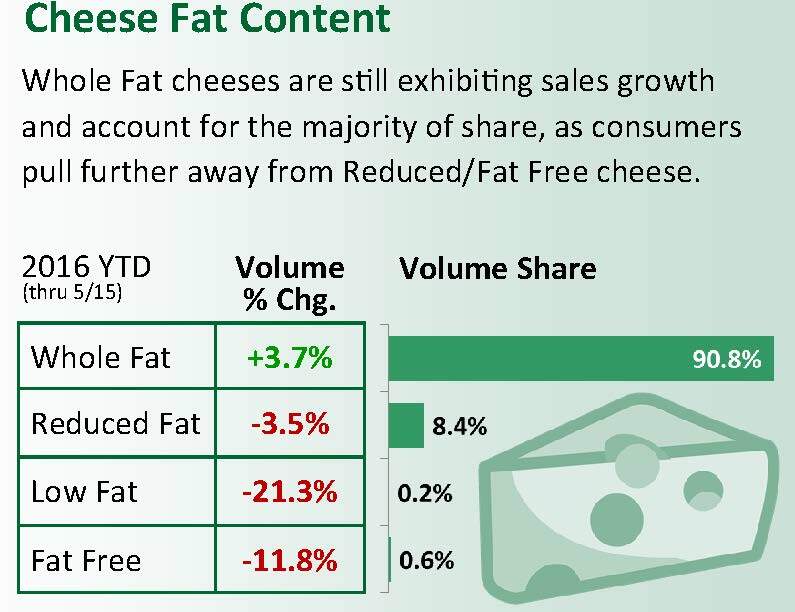 Natural cheese (81% volume share) continues to perform well (+5.2%), following a strong year in 2015, with whole fat cheese on trend, posting strong growth while accounting for most of cheese sales. Here are some recent innovations that will increase consumption, as they provide new uses and new eating occasions. Cherky is a unique shelf-stable cheese and meat snack. Developed by food industry veterans doing business as Milk Truck Cheese, Cherky is a blend of Wisconsin cheeses and artisanal meats. The first flavor in the series is Bacon Jalapeño. Starting with a base of flavorful aged Wisconsin cheddar, the pasteurized process cheese snack is loaded with pieces of real hickory smoked bacon and a kick of jalapeños. The gluten-free, high-protein snack comes in single-serve 1.5-ounce sticks. BelGioioso Cheese is rolling out numerous new items that meet consumers’ needs for individual-sized, portion-controlled snacks. The 70-calorie Fontina Snacking Cheese contains three cubes in an individual 0.75-ounce package. The packs come in 6-ounce retail bags packed 10 per case. 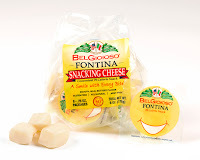 Individual packages are printed with the BelGioioso signature snacking smile logo. 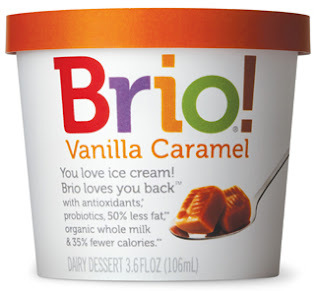 In addition, the company has created a 3-ounce Mini Mascarpone cup (18 cups per case) and a 5-ounce Mini Ricotta single-serve cup (12 cups per case). The mascarpone cups are a perfect size for a healthier spread option, with each serving at nearly half the calories of butter. The ricotta cups provide an individual serving of 16 grams of protein and 60% of the Daily Value of calcium and is packaged for use as a single-serve breakfast option with fresh fruit and granola, or as a fresh, creamy dip for vegetables. La Bottega di BelGioioso Artigiano is a new cheese that is pleasantly nutty and sweet. Artigiano is mixed in small batches and cured using proprietary, artisan methods to achieve its delicate crystalline texture. It’s available in a Classico variety as well as flavored Vino Rosso or Aged Balsamic & Cipolline Onion. The cheese comes in whole wheels for cut-and-wrap programs and pre-cut 4-ounce exact-weight hand-wrapped wedges. 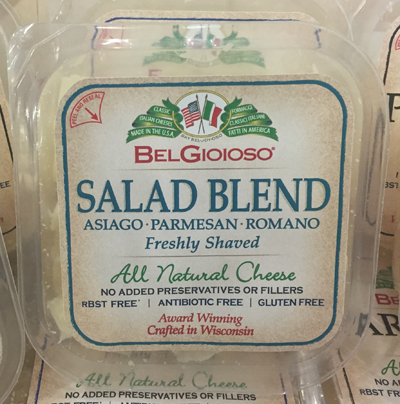 There’s also a new 4-ounce cup line in three varieties: Four Cheese, Parmesan and Salad Blend. 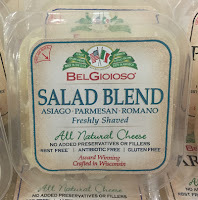 This selection of shredded, grated and shaved cheeses contains no fillers or preservatives. It’s just cheese. Saputo Specialty Cheese is introducing Fresh Mozzarella in 8-ounce balls and 16-ounce logs. The cheese offers a clean flavor and soft, delicate texture reminiscent of the fresh mozzarella originally handmade in the Italian countryside, according to the country. With its subtle flavor and creamy texture, it enhances salads, pastas and casseroles to create unforgettable dishes. An iconic name in the Italian cheese business made a big announcement at this year’s Summer Fancy Food Show. In celebration of its 70th anniversary, Arthur Schuman Inc., has changed its name to Schuman Cheese. Arthur Schuman started the business, which was incorporated in 1946, with a passion for bringing the best cheese to the American market. The new moniker honors that heritage while celebrating the innovative culture that drives the company’s contemporary business strategy. Product innovation is taking a center stage in the company’s growth plans. As part of its anniversary celebration, Schuman Cheese is introducing Yellow Door Creamery, a new brand that complements Schuman’s flagship brand, Cello, by offering a platform for experimentation. A series of Hand Rubbed Fontinas are among the first Yellow Door Creamery products. The new line of semi-soft, mild and creamy cows milk cheese makes its debut in three varieties: Habanero & Lime (a citrus finish with every bite of heat), Harissa (a smoky blend of chili, cumin and caraway seed) and Tuscan (a classic blend of Italian herbs and spices). Made using fresh Wisconsin milk, expert cheesemakers use traditional methods to create Fontina cheese, according to the company. The Fontina wheels are hand rubbed with vibrant spice blends from around the globe. Also part of the rollout are new blue cheese products under Yellow Door Creamery’s Brilliant Blue brand. Handcrafted in Wisconsin and cellar-aged for 60 days, Brilliant Blue comes in individually wrapped 2-ounce portions and 5-ounce and 1-pound deli cups as mini cubes. Perfect for sandwiches, salads, cheese plates and more, Brilliant Blue can be easily stored for later use with a shelf life of 90 days. The mini cubes are clump free and sold with a flip top lid for ease of use. The 2-ounce single-serve cubes are great for slicing and melting. 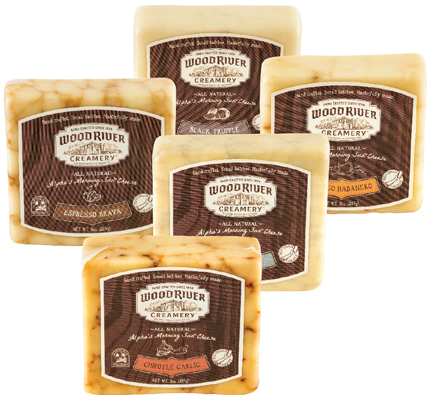 Burnett Dairy has added five new flavors to its Wood River Creamy line of Alpha’s Morning Sun Wisconsin cheeses. This mild, buttery cheese combines the flavor of cheddar with the creamy texture and meltability of a classic alpine-style cheese. The five new flavors— Applewood Smoked Sea Salt, Black Truffle, Chipotle Garlic, Espresso Brava and Mango Habanero—were designed with sophisticated shoppers in mind. A new label across the Wood River Creamery line echoes that sophistication with hand-sketched flavor illustrations, and food and beverage pairings incorporated on the packaging. With convenience remaining a top priority for consumers, slices, shreds, spreads and snack sticks have made up a large share of the convenient products launched during the past year and will continue into 2016. That’s why Burnett Dairy continues to grow its snacking string cheese line. Garden Veggie joins Homestyle Ranch, Hot Pepperoni Beef, Original, Pepperoni Pizza, Smoked and Zesty Teriyaki. 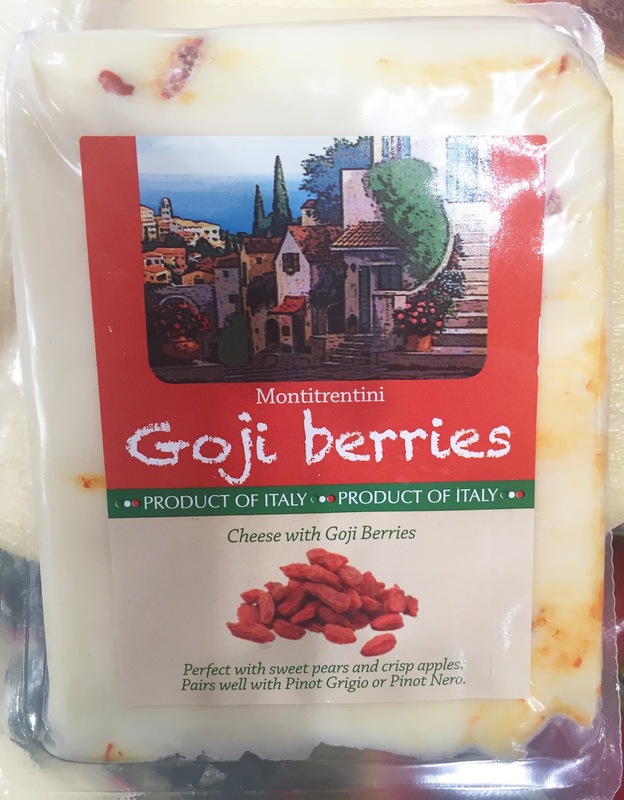 An Italian exhibitor at the Summer Fancy Food Show showcased its new Goji Berries cheese. 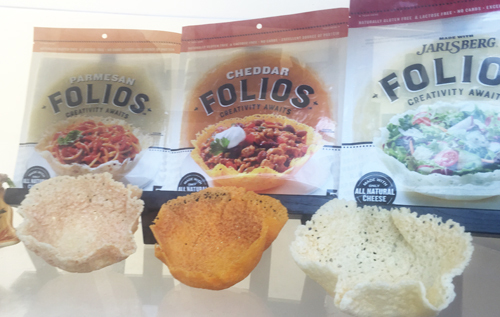 Lotito Foods used the Summer Fancy Food Show to introduce a first-of-its-kind: cheese sheets. The new Folios product line is par-baked sheets of cheese that are made from Cheddar, Jarlsberg or Parmesan all-natural cheeses. Folios are free of carbs, gluten and sugar. This innovative breakthrough offers chefs creative ways to use cheese to be molded as a topper, shell, wrap and in numerous recipes. The patent-pending lightly baked (1.5 ounce) sheets come five to a pack and are separated by parchment paper. They can be used as is as a wrap, much like one would use a tortilla or flatbread, or they can be the cheese slice in the wrap. They can also be warmed and molded into a crispy cheese bowl. The standalone bowl can be used to serve a cold salad. Or, the cheese bowl can be served in a bowl and be used to serve hot foods, such as chili, pasta or soup. The bowl starts to melt and is consumed with its contents. Folios are an excellent source of protein and calcium. To all U.S. subscribers of the Daily Dose of Dairy, have a fun and safe 4th of July holiday weekend. Eat lots of cheese! Entertain with cheese!